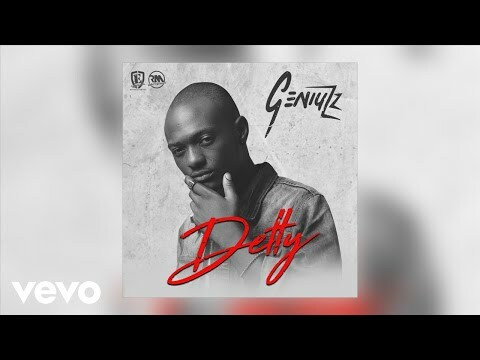 Effyzzie Music sensation, Geniuzz just turned up the party a notch with the latest club banger that he titles “Detty.” The Afro Pop sensation does look to complete an eventful year with a smash. This is because Geniuzz enjoyed success this year, 2017, especially with the success of his “A Slice of Geniuzz” EP. However, the “Firewood“ hitmaker doesn’t seem ready to rest on those laurels. This way, he calls on the ingenuity of producer, Philkeyz, who produced this banger. “Detty” is not meant to change the world or help you describe your bae with the most beautiful adjective. In fact, if there’s anything Geniuzz looks to inspire then it is the sick and slick dance moves across floors and social gigs. The high-tempo, energetic and upbeat piece comes with the prodding beats as well a high-octane instrumental to ensure you’d be dropping your sanity from the very first stream. Plus, its addictive vibe has ensured we slide “Detty” into replay mode as we key into the groove and grind of the weekend. You can also join us in that jolly mood; simply stream, download, then share your thoughts and opinion in the comments section below.